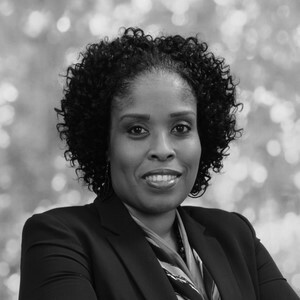 Darline Cobb joined Ginkgo Residential in 1998 as an Accounting Assistant and is currently the Director of Training and Development for Ginkgo Residential. She has won various service awards from Ginkgo Residential including the Brass Award in 1999, the BEST Award in 2007, and Ginkgo Executive Award in 2018. She also oversees the Gingko T.R.A.I.N program to ensure all their associates at Ginkgo are equipped with resources and tools to be successful in his or her role. Darline received her Associates Degree in Business Administration in 1994 from Gaston College and holds a NC Notary Public license. She has been an active member of the GCAA since 2009, has served as Board Treasurer (2018), GCAA Executive Director Search Committee (2018), Multifamily Career Awareness Subcommittee (2018), Membership and Outreach Committees where she has served as Chair of Outreach in 2013 and 2014, and was named Support Team Member of the Year in 2009 and Volunteer of the Year in 2013. Darline has also served as a GCAA Board Member for 7 years. She enjoys traveling, spending time with her family and friends, and giving back to the community. She remains enthusiastically engaged in various social and volunteer organizations and is looking forward to continuing her term on the GCAA Board of Directors and volunteering through the Association.